SAN FRANCISCO, CA--(Marketwire - Feb 9, 2012) - Trulia, a leading site for home buyers, sellers, renters and real estate professionals, today unveiled a brand new Trulia Local experience. Trulia Local now analyzes and visually displays real estate values, crime, school ratings, and local amenities ultimately aiming to help answer the question, "what is it like to live here?" Leading the charge on developing more local, social and mobile tools is Lee Clancy, who joins Trulia as the company's new Vice President of Consumer Products. With more than 10 years of product management experience in social gaming, online community, and user-generated content, he brings a proven track record in driving product development and increasing revenues at both established companies like Yahoo! and innovative startups such as IMVU. "Innovation is one of Trulia's core values and as a company we are committed to building the best tools available to consumers and real estate professionals. Under Lee's leadership, Trulia will no doubt stay at the forefront of local, social and mobile offerings and continue to build products that help people understand what it is really like to live in an area before they ever set foot into a neighborhood," said Pete Flint, CEO and co-founder of Trulia. "Adding Lee and his experience to our organization continues our theme from 2011 of attracting top-notch talent to help us deliver the best user experience to our rapidly expanding consumer and professional audience." Real Estate Values: Check out homes that are currently for sale or were recently sold nearby. Crime: Avoid crime by identifying the most dangerous blocks in your city with a heat map overlay that aggregates all the reported criminal activity during the past year. Toggle between violent and non-violent crimes to see what was most recently reported. Schools: Find out which school district your home is in and screen for schools with the highest parent ratings with an easy-to-use slider filter. Neighborhood Amenities: Know where the closest restaurants, grocery stores, banks and gas stations are located and what the locals think. "Finding a home -- whether you're buying or renting -- is a very local and social process, from asking your real estate agent about home values to talking to neighbors and friends about the best nearby schools," says Lee Clancy, Trulia's VP of Consumer Products. "Now, Trulia helps consumers with their make-or-break real estate decisions by connecting them with unique and vital local information contributed by real estate professionals, in-the-know neighborhood enthusiasts, and select content partners, both online and on the go via our leading suite of mobile applications." Trulia is the fastest growing online real estate resource, empowering buyers, sellers and renters with smarter tools to help them find the right home. Trulia gives you the inside scoop to help you find the best place to live. Our smart and personalized real estate search experience brings together vital local information, community insights, market data, and national listings all in one place. 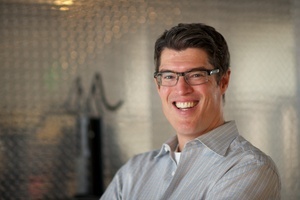 Trulia is headquartered in downtown San Francisco and is backed by Accel Partners and Sequoia Capital. Trulia and the Trulia logo are registered trademarks of Trulia, Inc.